It has been while since I have ranted but I am having the same inane conversation with too many people lately and it has now allowed me to now see backwards due to all of the eye rolling I have done. Yes the US resort property market (California, Nevada, Arizona, Florida & Hawaii) is still depressed. Yes there are still great deals available and yes there will be a bounce along the bottom for another period of time (12 to 36 months) but the house that your friend/associate/partner/or friend of a friend bought out in the deep suburbs (middle of Podunk nowhere) 12 months ago from some smooth talking know it all Realtor has NOT increased in value due to brilliant property purchasing prowess…. The deal was probably OK as it is hard not to buy at the bottom 25% of the market over the last 24 months, but when a property does not come up on your GPS or on Google maps then you know it will not rebound in value quickly and will dramatically under perform centrally located real estate. As I published in a previous Blog, there are 3 main variables that effect the value of property; 1. Location, 2. Features and 3. Local Amenities. A $200,000 home in the deep suburbs will cost you over 1 million+ in the center of a high profile area. Those numbers can now be adjusted to $75,000 and $450,000+. If it takes you 15 minutes to find a store that is still in business to buy a paper or carton of milk then guess what, you have purchased in the middle of nowhere…..
Real estate has been and always be about location, location, location and beware of anyone that tells you differently as they will be trying to sell you a time share in a central Florida swamp or prime piece of desert property 2 hours from Sky Harbor airport. The market still has some amazing deals but make sure you conduct in-depth due diligence, hire or utilize educated and well seasoned professionals and educate yourself as much as possible, as any purchase, be it a primary residence or a vacation property will be a decision that requires a substantial investment of time and capital. Now that we are recession battle weary and it seems like forever since we have heard any good economic news many are contemplating the question – are we finally turning the corner? This is the million dollar question and if you don’t like the predictions from one analyst or economist then Google for another and you will have a prediction that is significantly different than the last one you just read. In any case, one indisputable fact is that we are now hearing more cries from the gallery that we are approaching the bottom of this down real estate market, where even some stats are showing the one off market improving month over month. I think we are close to the bottom as the supply and demand curves are leveling out and price reductions in most areas have begun to stagnate. We will continue to see depressed prices for properties that have been run down and are in need of a complete rehab so one must compare apples to apples and focus once again on value versus solely on just price per square foot. Yes I could buy a house down the street at $40 psf versus one four doors down that is listed at $60 psf but the one at $40 needs to be rebuilt inside where the $60 house just needs some minor updating, so if you compare the value the $40 psf house probably needs $40,000+ in rehab work and you still might find more issues down the road with a beat up property so is it really the deal you thought it was? In many parts of Metro Phoenix and North America for that matter good properties that are priced at market are selling quickly at their asking price, this is a sign that we are bottoming out in some geographical markets and that if we dont move upwards we will perhaps bounce along the bottom for a while. For buyers and sellers, the past few months have been schizophrenic. The real estate free fall might just be over but what ever you do make sure that you educate yourself before jumping into the real estate pool. There are some great deals for the new homeowners, investors and those that might be looking to move back in after a real estate set back. I recently found this blog and the author did a nice job on explaining the different types of residential real estate auctions in Phoenix. With the upcoming real estate auctions by US Home Auction, Zetabid and other real estate auctioneers, it is critical for home buyers and investors in the Phoenix real estate market to be armed with property information and prepared for how the auction process works. That’s not to say that deals can’t be had at the real estate auctions because they can for the savvy buyer. But real estate auctions can be both exhilarating, frustrating, and costly for the uneducated buyer. In addition, a buyer’s focus only on auctions to purchase a property can blind them to opportunities for properties on the open market. It’s important to understand that the Phoenix foreclosed home auctions are just one type of “auction” the Phoenix real estate market sees. Here are a few types to help understand the differences between auctions and the nature of the foreclosed home auctions put on by companies like US Home Auction, Zetabid, and others. The Trustee’s Sale represents the true foreclosure auction as this is the legal process by which the primary lienholder (who is owed on the property and pursuing retribution) is foreclosing on the home and will take permanent and legal possession of the property. At the judicial foreclosure or Trustee’s Sale (this is more likely to be the chosen process), other parties have the opportunity to bid on the property but in many instances, the primary lienholder (lender) is the party to take final possession of the home. Investors and home buyers who want to take advantage of the fact that properties can be obtained at a substantial discount to anything on the market will need to be prepared to pay with cash. As a result, most home buyers are not able to take advantage of these types of auctions. Note: Some investors are purchasing these properties at the Trustee’s Sale, putting a small amount of money into reconditioning the property for resale, and then putting the properties back on the open market and selling at a substantial profit – this isn’t an approach for every investor though. For lack of any better term here, “Marketing Auctions” are where an auction company is tries to auction properties that are currently on the open market for sale through a Realtor by getting home sellers to sign up. Home sellers who have their properties auctioned can cost the home seller anywhere from $1,000 to $3,000 with no guarantee of successful close. In this type of auction, the properties are likely not distressed in terms of foreclosure or short sale. In effect, this type of auction is an expensive marketing tool to raise awareness and potentially find a buyer for a home. This is the most visible auction type as tremendous amounts of money is being spent on marketing this type of auction here within the Phoenix real estate market. Particulary, US Home Auction or REDC and Zetabid are companies facilitating these auctions. What is different is that the companies are contracting out with the lenders and banks that have a significant number of property assets that they have acquired through foreclosure and want to liquidate as quickly as possible. 1. There is a “reserve price” for the properties. In other words, even though the starting bid price might be $20,000 on a $70,000 (list price) property and your $25,000 bid is the winning bid, if your bid didn’t meet the reserve price of $55,000, you likely don’t get the property unless the Seller agrees anywayt and the property may be put out for bid again. Unfortunately, the reserve price is not disclosed to the public so there is no way of knowing what the real minimum price might be. 2. The sale is subject to approval by the seller. If the seller is not satisfied with your winning bid, the seller can simply decline the sale. 3. US Home Auction or REDC charges a “Buyer’s Premium” of 5%. So, if your bid is the winning bid at $200,000, you can expect to pay US Home Auction an additional $10,000 which is added to the sale price. Make sure to factor this in to your calculations. 4. You are required to bring a $5,000 cashier’s check to the auction in order to be authorized to bid on properties. 5. When buying a property, you will be required to provide 5% of the total sale price (your high bid price + the 5% Buyer’s Premium). The initial $5,000 cashier’s check can be supplemented by a personal check. All of this is due upon completion of a signed purchase agreement by both parties. Once the deal is final, you likely don’t get this back should you somehow back out of the transaction. However, if the property is currently occupied, the contract does allow for a 7 day inspection period within which the buyer does have an opportunity to cancel the agreement at no penalty. 7. You will be required to close no later than 21 days after the auction unless otherwise extended. 8. Make sure to read REDC’s Terms and Conditions thoroughly. Google “REDC terms and conditions” to see this information for US Home Auction. 3. Zetabid charges a “Buyer’s Premium” of 5%. So, if your bid is the winning bid at $200,000, you can expect to pay Zetabid an additional $10,000 which is added to the sale price. Make sure to factor this in to your calculations. 5. When buying a property, you will be required to provide 5% of the total sale price (your high bid price + the 5% Buyer’s Premium). The initial $5,000 cashier’s check can be supplemented by a personal check. All of this is due upon completion of a signed purchase agreement by both parties. Once the deal is final, you likley don’t get this back should you somehow back out of the transaction. However, if the property is currently occupied, the contract does allow for a 7 day inspection period within which the buyer does have an opportunity to cancel the agreement at no penalty. 7. You will be required to close no later than 30 days after the auction unless otherwise extended. 8. Make sure to read Zetabid’s Terms & Conditions thoroughly. You can find these on the individual home listing pages on their website. * If you are seriously looking at buying a property through the foreclosed home auctions and have not had a Realtor search and show you other bank owned properties on the open market, you are making a mistake in excluding them from consideration. The auctions are not the only potential source for great deals and there are simply great bargains out there already listed for sale. To exclude these from consideration may mean that you are ignoring opportunities that are even more compelling. Be diligent and research all your home purchase options. * Visit the properties you are interested in before the auction and have qualified professionals with you to inspect the property for issues. This would include a contractor for any repair and remodeling work you would have done. * Conduct thorough analysis of comparable properties to ascertain the possible value for the homes you are interested in. A Realtor can help you do this. * Come to the auction prepared with your estimates as to what you want to pay for a foreclosed home. If you haven’t done this, don’t bid on the property. * At the foreclosed home auction, if the bid price exceeds your estimates for what you want to pay for the property, walk away and let the property go. Be firm with your estimates regardless of what the crowds may be doing during the bidding process. * Look online to see the bidding order or call ahead. You could be at the auction all day if you don’t know when the house you are interested in is to be auctioned. Save yourself the hassle by checking ahead. * On auction day, go a little earlier than the scheduled time for your particular property of interest in order to have time to sit down and watch how the process works. * Finally, if you are at all unsure about your buying a home through the auction, then don’t follow through. Whether it is a resale property on the open market, a new build, or an auctioned property, do not purchase a home if you feel you may have buyer remorse. Be confident that you are getting the right property at the right value based on your needs and objectives. Buyers considering purchasing personal or investment homes at a foreclosed home auction in the Phoenix and Valley real estate market need to understand that the auctions (except the Trustee’s Sale) really represent a distribution method for the lenders to liquidate properties. There very well may be deals to be had at these auctions but the buyer needs to be fully aware of the value of a property or properties that he or she is going to bid on. As well, the buyer should be aware of what other opportunities exist for deals outside of the auction process. Only with all of this information and awareness can the home buyer really ascertain the value of a given home at the home auction and what they should pay for it. David Lorti is a professional Realtor for RE/MAX Elite in the Phoenix Real Estate market. He holds a MBA and Certified Negotiation Expert designation and his insights have been quoted in numerous news outlets. 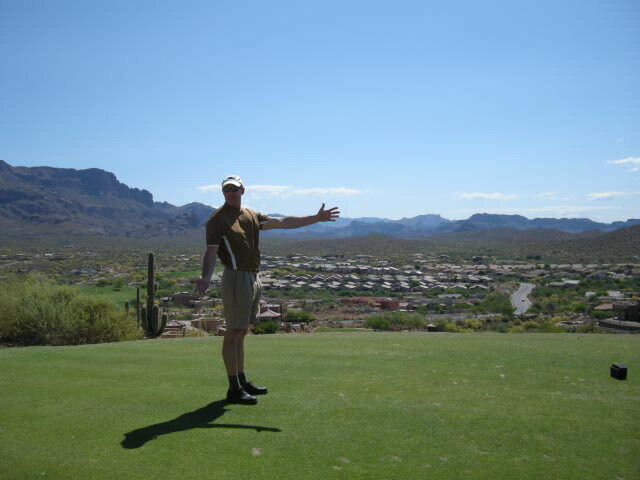 His website, LortiHomesArizona.com, and blog, LortiHomesBlog.com, offer additional market insights on Phoenix Arizona Homes. Visit his site for an even more detailed review of Phoenix foreclosed home auctions.